Calling all New York City youth ages 8-18! 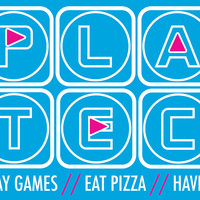 Join us for our spring PLAYTECH SATURDAY event at Parsons The New School for Design located in downtown New York City. Come play and engage with new games and interactive multimedia projects from students, faculty and our like-minded friends in the industry. Hosted by Parsons SPACE and the School of Art, Media and Technology. Pizza served at 1:00 p.m.
For more information Contact Parsons SPACE at 212.229.8933 or academy@newschool.edu. This event is free but reservations are required by clicking on the top right register button.